We've all seen it. 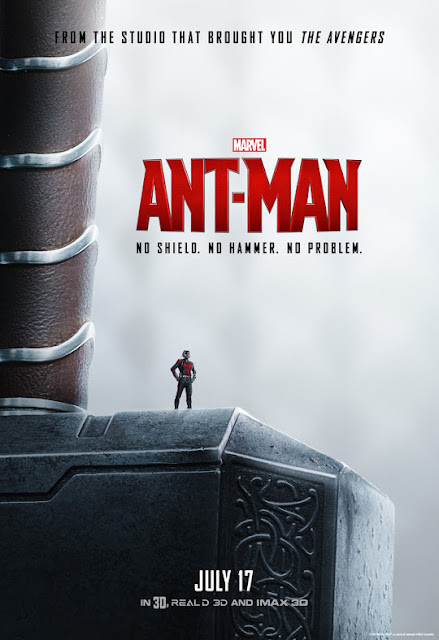 The female in almost any action movie poster inexplicably with her back to the viewer, looking over her shoulder, putting her backside in clear view. It happened to Black Widow in the Avengers, Sue Storm in the Fantastic Four and countless others. 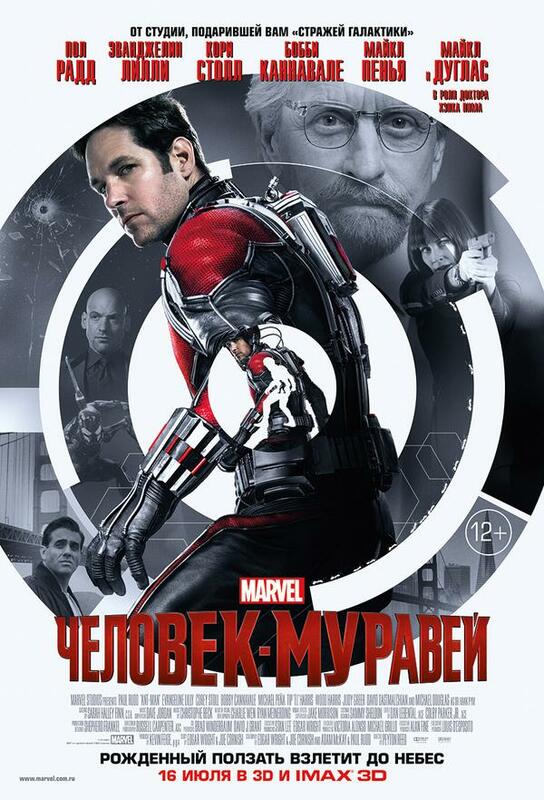 Now thanks to the Russian movie poster for 'Ant-Man' Scott Lang (Paul Rudd) gets his chance to show off his assets. Except for an unfortunatly placed arc near his posterior, Lang does an admirable job of paying homage to decades of sexist and head-scratching movie poster poses by women. 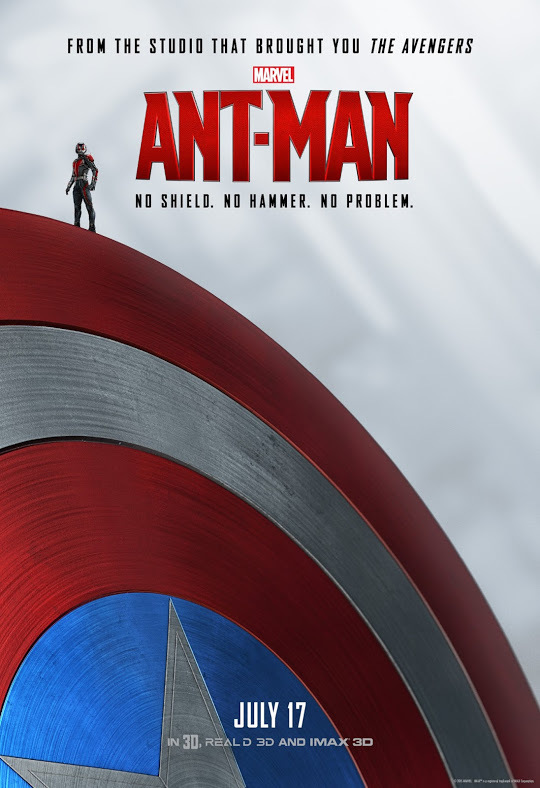 The poster really is a nice departure from placing the lead in the center and having floating heads of supporting characters around him. This Russian poster has a look reminscent of classic spy movies with a clever outer circular design with a shrinking Lang in the center. It's the type of creativity you don't see very much of posters in the U.S. Still, Marvel has produced some nice domestic posters with Lang riding a fly dodging bullets and just recently a series of posters that put the dimunitive hero in context against certain Avengers (see below). Also, check out the newest TV ad where Ant-Man squares off against Yellowjacket. 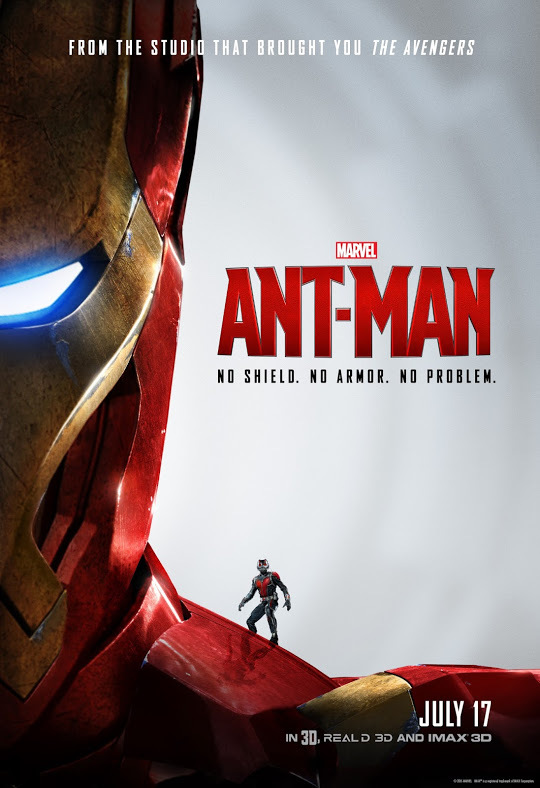 Ant-Man hits theaters on July 17.